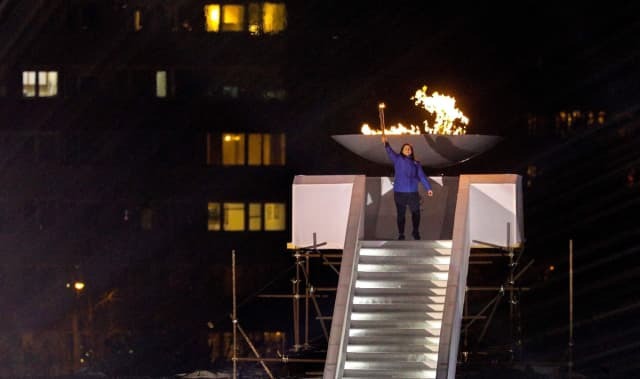 World number two and world bronze medallist Larisa CERIC (BIH) had a special reason for missing the Paris Grand Slam as the Bosnian star was selected to light the Olympic flame for the Winter European Youth Olympic Festival (EYOF) on Sunday 10 February. The opening ceremony at the Asim Ferhatović Hase Stadium in Sarajevo culminated with the three-time World Judo Masters bronze medallist officially marking the opening of the 14th European Youth Olympic Festival which was followed in the venue by more than 20,000 spectators. CERIC, who starts her 2019 campaign next week at the Düsseldorf Grand Slam, said: “Lighting an Olympic flame was a historical event for Bosnia and Herzegovina and I cannot describe how honored I am to be selected. The feeling was amazing and surreal. The whole country is proud of me and I received a lot of greetings and congratulations. Teammate Aleksandra Samardžić, 21, who took silver at the Nanjing 2014 Youth Olympics, was one of the athletes who carried the flame inside the stadium and towards her senior colleague. “It was a great feeling and I loved being involved,” said Samardžić who will also be in action in Germany as part of a five-strong Bosnian team. Bosnia and Herzegovina Judo Federation General Secretary Arijana Jaha said: “This was great honor for Judo Federation of Bosnia and Herzegovina, member of the International Judo Federation and European Judo Union. Watch the Bosnian team in action at #JudoDüsseldorf2019 from 22-24 February live here on the IJF website.